The Fraser Valley in Colorado will see a $1 million trail restructuring project begin this month. Photo by Matt Miller. 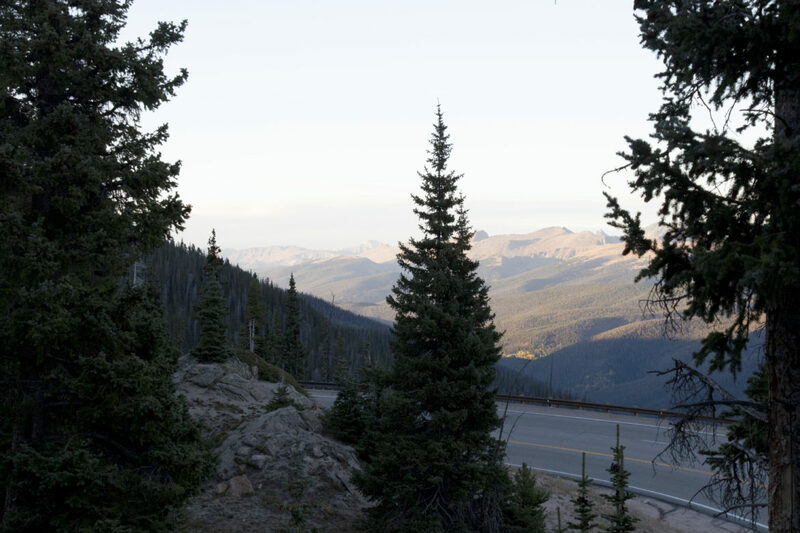 The U.S. Forest Service (USFS) Sulphur Ranger District will start to eradicate any and all user-created trails in the Winter Park, Colorado area as part of a trail restructuring program. 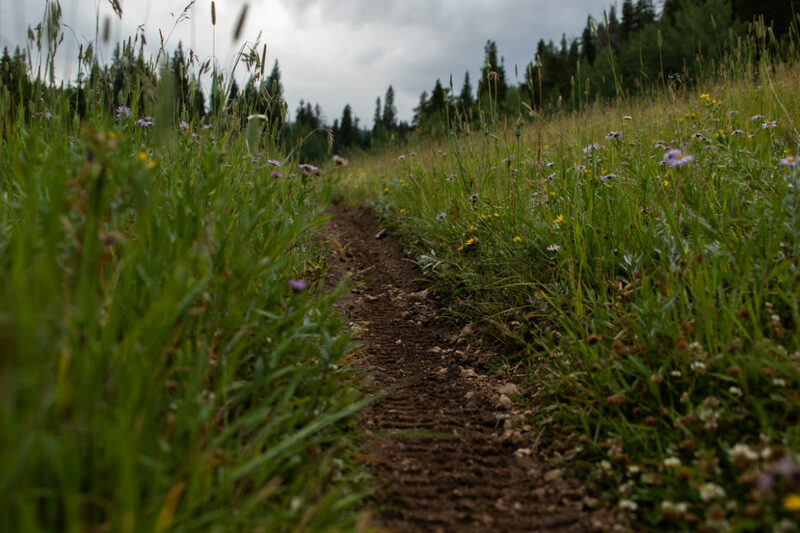 Citing concerns about wildlife impact, environmental degradation, and non-sustainably built trails, the USFS will physically destroy non-Forest Service system trails in the area, so that they are returned to a natural state. They have identified about 25 miles of user-created trails that they plan to demolish. These trails are said to fragment wildlife by impacting travel routes for lynx, elk, and other animals. “We have effectively dissected this wildlife habit to where it’s no longer effective to the level that it needs to be,” said US Forest Service Ranger Miles Miller. Demolishing these trails is part of a trail system overhaul in Fraser Valley that the USFS has dubbed ‘Smart Sizing,’ and would add eight miles of non-motorized trails, over nine miles of trails that allow bikes between May 15 and December 15, and 2.5 miles of trail for motorcycles. 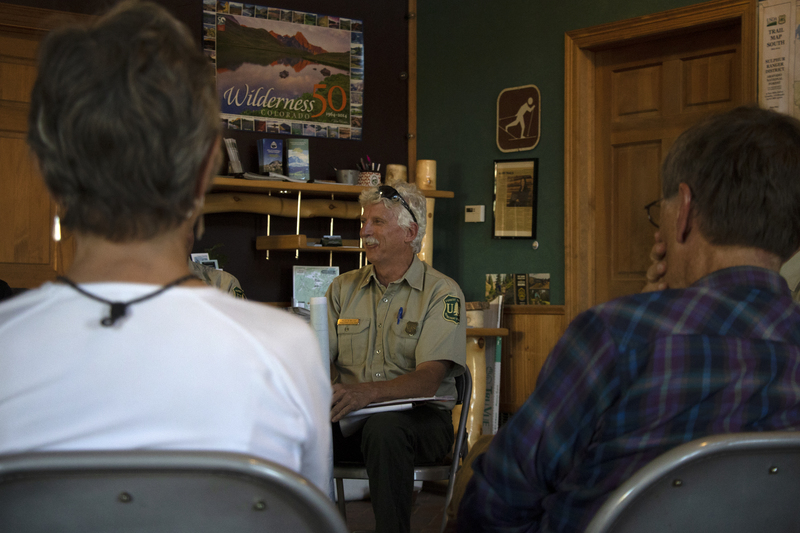 USFS Ranger Miles Miller speaks with residents at a public meeting on September 12, 2018 in Fraser, Colorado. Photo by Matt MIller. Headwater Trails Association, a Winter Park area trail advocacy group first proposed trail improvements back in 2012. 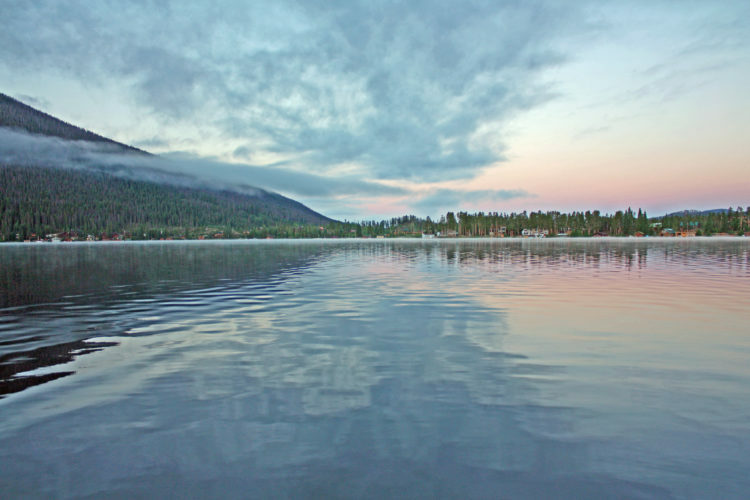 The USFS made a decision in 2017 to move forward with a final plan to re-structure trails, get rid of social and user-created trails, and re-designate and decommission certain trails. It wasn’t until this year that they found out they had funding to start the project, although for now, it’ll only cover about six miles of trail decommissioning. The estimated cost for trail decommissioning, which includes heavy machinery operation is about $2 per linear foot. 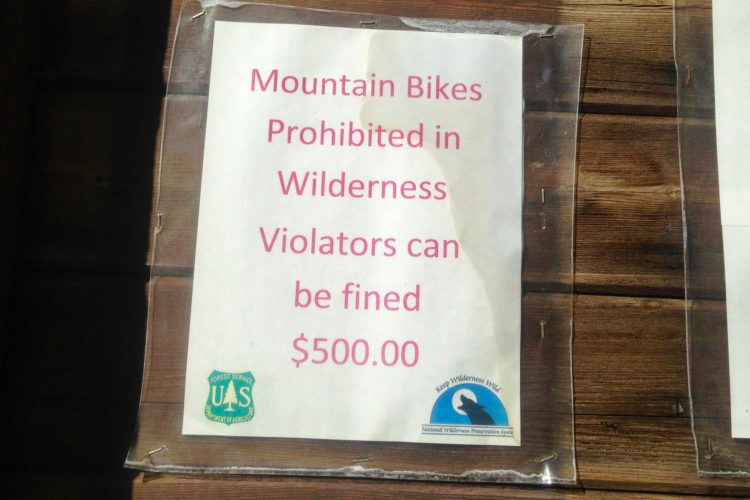 That’s over $10,000 for each mile of trail that the USFS plans to destroy. Some of the trails are social trails that lead out from campsites and dead-end in the middle of the woods, or are shortcuts and connectors to other trails. 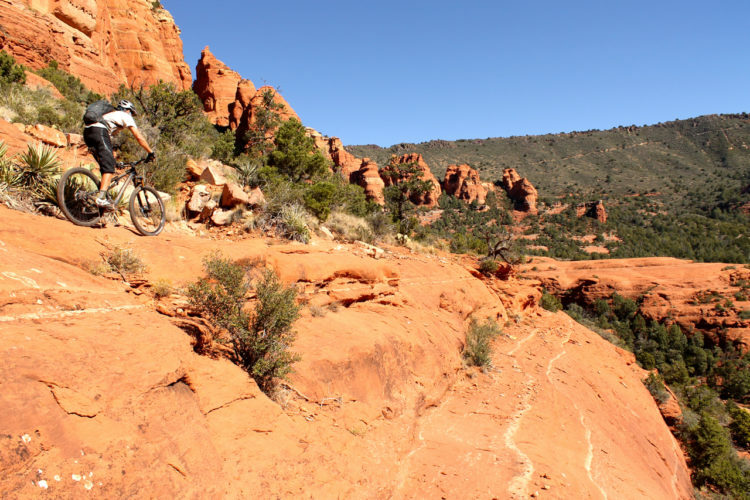 Others are technically advanced trails that appear to be created by mountain bikers. The USFS has tried more natural remedies like dropping dead trees in the middle of the trails, but mountain bikers can carve out a way to pass through the tree with a chainsaw. 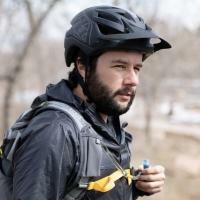 “[We’re] doing the best [we] can to build a quality mountain bike trail system for the community, and it will be sustainable, and when people are out there building trails that I have to pay to decommission or try to maintain, and we already don’t have the resources, that just moves us in a different direction,” said Miller. 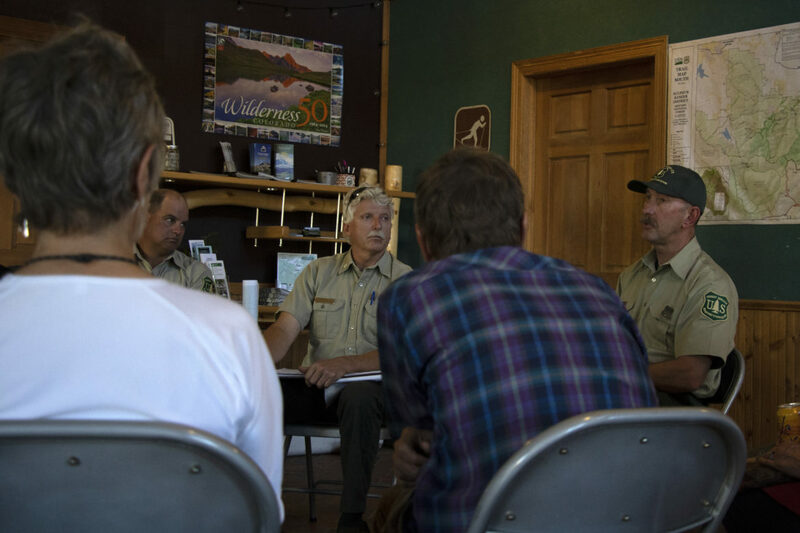 Miller and the USFS made it known during a public meeting on September 12 that advanced, double black diamond trails would not be constructed as part of the area’s new trails. 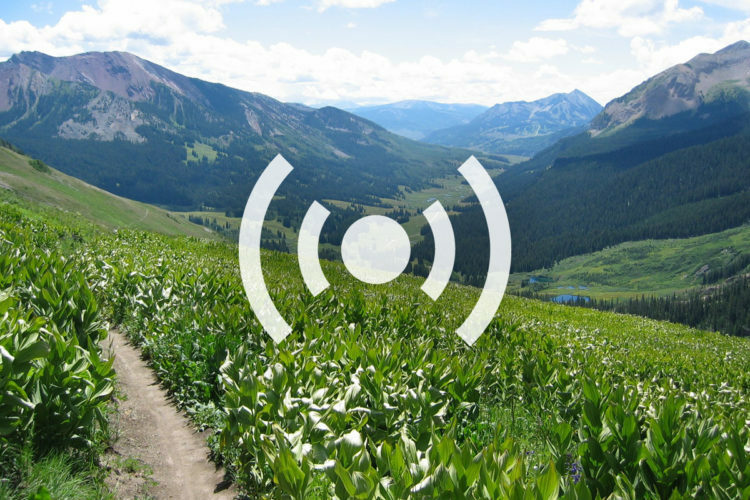 “It’s hard for us to build a sustainable trail that’s a double diamond trail. So we’re providing a green, blue, black experience. Is it meeting everybody’s experience? No, I’m sure it’s not,” said Ranger Jon Morrisey. Jon Morrisey of the Sulfur Ranger District speaks with residents about the Smart Sizing project. Photo by Matt Miller. The USFS builds trails according to their standards and not to the standards of other trail organization like IMBA. 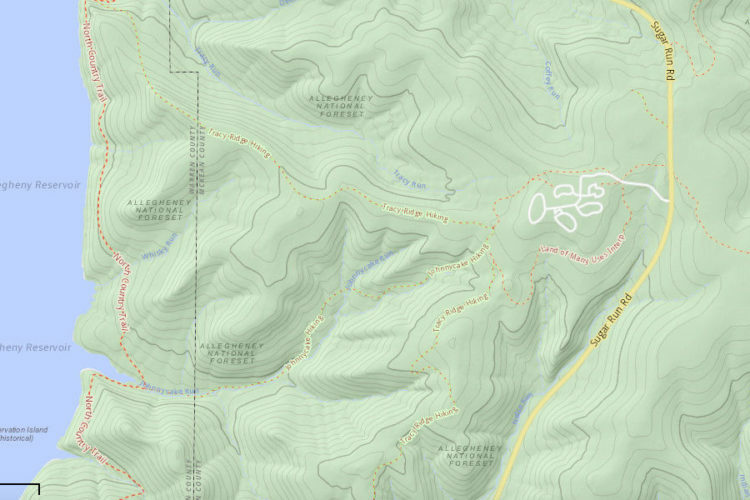 This means no berms, no elevated or wooden features, and most all of the features are natural, although Headwater Trail Alliance plans to build features for mountain biking. Residents that attended the meeting voiced concerns about how the trails would be destroyed. Colorado Parks and Wildlife representatives said that there may be a minor displacement of wildlife when trails are being destroyed with machinery, but in the long-term, it would allow areas to return to their natural states. The trail “obliteration” intends to make it as hard as possible to reconstruct illegal trails. Sometimes that means turning the ground upside down, and altering the grade of the trail. Afterward, grass and natural vegetation are seeded. Of course there is a risk the cycle could simply repeat itself. Just because old illegal trails are being demolished, doesn’t guarantee that new trails won’t form elsewhere. The USFS plans to have a new trail built or reconstructed before any old, USFS system trails are decommissioned. They don’t have a list of which trails they’ll decommission or destroy first, but are planning to start within the next few weeks. To finish the entire project, they estimate it could take three to five years, and that it will be worth it for all user groups in the end. Riders in the Idlewild trail area in Winter Park. Photo by Hannah Morvay. The Smart Sizing project in total is expected to cost around $1 million and could take three to five years to complete, depending on labor and funding. Keith Sanders, the president of Grand Mountain Bike Alliance (GMBA), a Fraser Valley advocacy organization, doesn’t see the issue as a problem of sustainability, but rather the density of trails in the area and impact on wildlife. 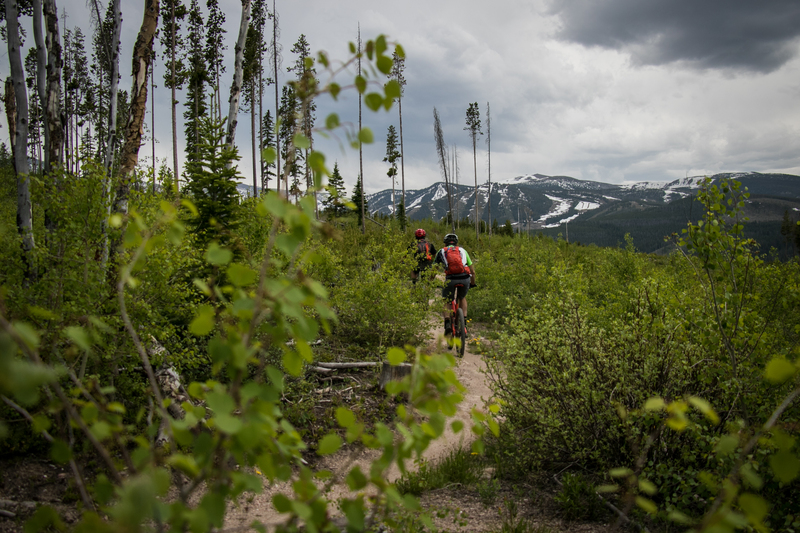 Many of the user-created trails in the Winter Park, Granby, and Fraser area were well designed and have been turned into USFS system trails and resort-sanctioned trails. “The issue is that many of the people that are quick to complain about not having challenging trails do not get involved,” said Sanders. 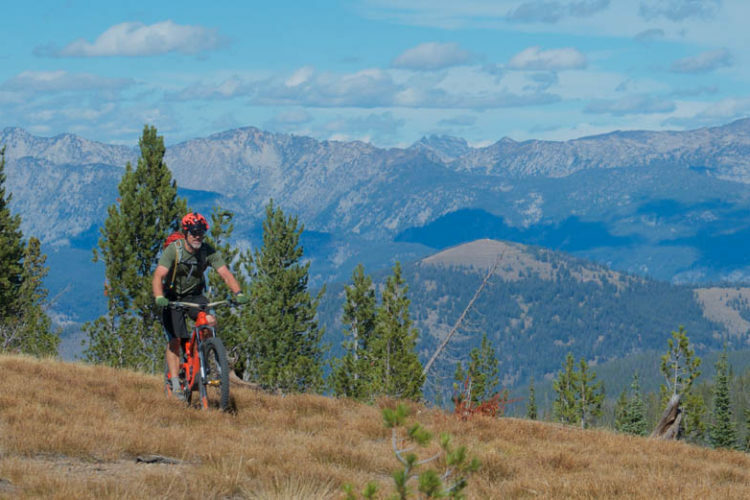 For GMBA, the social trails aren’t part of a long-term vision either, even though some are built out of frustration that the USFS won’t accommodate certain requests for mountain bikers, like steeper sections of trail. For more information on the project and maps of affected areas check the USFS Sulfur Ranger District’s website. USFS plans to update the project information online as they decide which trails will be decommissioned first.